It started with the election debates, disappeared for a few months, and now it’s back: the argument over the future of SNAP has resumed. This past Thursday, the Republican led House voted to cut food stamps. The vote split cleanly among party lines and drew outrage from Democrats in the House and Senate. Pelosi accused the bill of “preying” on the poor at a time when one in seven Americans rely on SNAP benefits. At the same time, Republicans such as Frank Lucas hailed the bill for its “common sense reforms.” Kevin Cramer of North Dakota went as far as to say the bill would end a “culture of permanent dependency,” and others cited reports of abuse in the system. 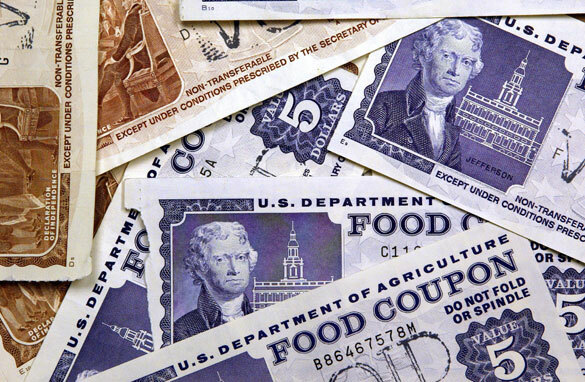 Recently, in addition to the political debate, the use and abuse of food stamps was brought to national attention. Fox News detailed the SNAP usage of Jason Greenslate, a 28 year old surfer from California who uses food stamps as “free food” as he works on his career as a musician. His case draws criticism from both sides of the aisle. Democrats point out that his case is not the typical one. About 75% of households using SNAP have children, and several more support seniors or disabled members. Greenslate is one of the 10% who are able bodied adults without dependents using SNAP, a number that has risen from prerecession times. Obviously, SNAP has flaws. Greenslate is not the perfect case of a household on food stamps. Additionally, the government has tracked and fought SNAP fraud since 1993. However, SNAP’s flaws are arguably disproportionate to the ire they draw in debates. Over the past two decades, fraud has fallen from about four cents a dollar to one to two cents a dollar. The USDA continues to investigate fraud cases and tighten its standards. Furthermore, Greenslate is a single anecdote of the 10% of food stamp cases he belongs to. His story illustrates abuse of the program, but then consider Jason Kirell’s story. Following the Fox report, the Huffington Post highlighted Kirell, a 35 year old army veteran. He’s worked since he was 17, served in the military in Afghanistan, and has been unemployed and looking for work since June. Food stamps provide him temporary relief as he tries to return to work. Kirell is the anti-Greenslate, but just as Greenslate’s anecdote does not mean SNAP should be ended, Kirell’s story does not mean SNAP should be expanded. There is economic evidence for the existence of SNAP, but there is also economic evidence against government spending. From these standpoints, statistics form the best basis of an argument. Trying to find the right balance of SNAP funding and forming the rules of usage should be based on what works the best for the most amount of people—a task much more difficult than finding a welfare queen or the “deserving” poor. Despite this, the debate over food stamps often depends on these anecdotes. Everyone has stories—the welfare queen buying crab legs and birthday cake, the friend of a friend who has fallen on hard times—and everyone has strong feelings about them. Both serve their purpose, but only to illustrate the greater economic debate over the efficiency of welfare. Using these examples as a basis for argument will not get our country anywhere: words cannot solve the problems of statistics. What are some good sites as well as blog sites for inexpensive fashion for grownups? What hosting websites will permit my blog site to earn money off adds being positioned on my blog site? I simply want to mention I am new to weblog and certainly enjoyed this blog. More than likely I’m going to bookmark your blog . You absolutely come with impressive articles. Regards for sharing with us your website.